in the Downtown and Central Neighborhoods of Phoenix Arizona. The Historic Phoenix Group of Homesmart has been helping families move into the best neighborhoods in Phoenix for years, and we can do the same for you. Find the home of your dreams amongst the quaint tree-lined streets of Central Phoenix. Real Estate in Downtown, Historic and Central Phoenix is our specialty. My team and I are committed to making the buying and selling of Phoenix real estate a pleasurable and rewarding experience. Our website allows you to search all active real estate listings in every neighborhood of Central Phoenix including the Coronado Historic District and the Willo Historic District. The site is easy to use and navigate through property searches. Please watch the short video below to see how you can create your own Custom Searches right here! Featuring every Historic Phoenix home for sale, from Districts like Willo, Encanto-Palmcroft, F.Q. Story, Coronado, Alvarado, Windsor Square and more to every condo and loft that Central Phoenix has to offer in areas such as: Midtown, Downtown, Uptown and North Central, East Phoenix, Arcadia, the Biltmore, Northeast Village and more! Contact us today to find out how we can be of assistance to you! Relocating to the Valley? Finding the right home in Phoenix can be a real challenge. Successful home buyers here know the secret is finding the right Realtor first. To find the home with that short commute, the best schools for your kids, and convenient access to the activities your family loves, you need the Central Phoenix Real Estate Experts. HistoricPhoenix.com has become Central Phoenix's real estate resource on the internet. Our easy to use search engine combines our Arizona MLS database with our knowledge of the individual neighborhoods and allows you to search Central Phoenix real estate listings plus all properties for sale in valley cities like Phoenix, Cave Creek, Carefree, Scottsdale, Glendale, Paradise Valley, Chandler, Mesa and Gilbert. 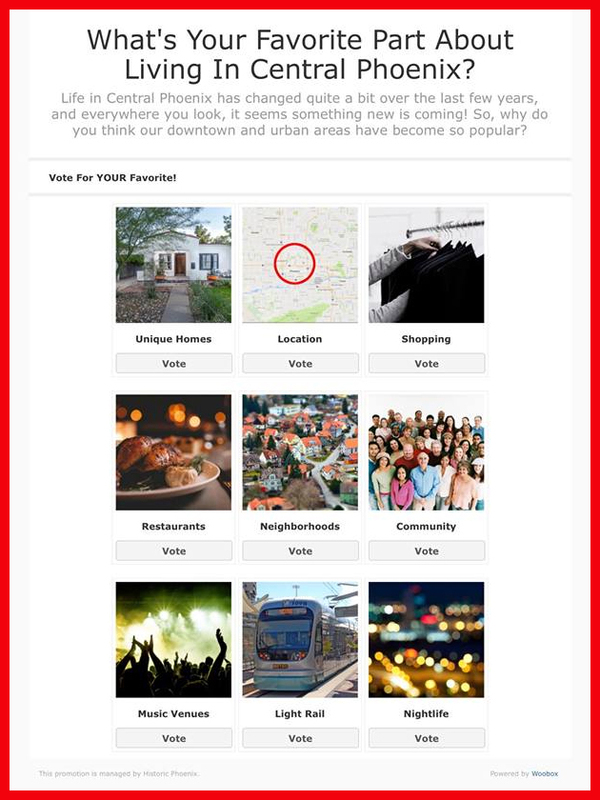 HistoricPhoenix.com allows you to receive Daily Email Alerts of new Central Phoenix Real Estate Listings; price changes of properties that meet your search criteria plus you can also save multiple searches with unique names and save favorite properties to track. You can also access your account anytime and change the frequency of the email alerts, share them with friends and much more! 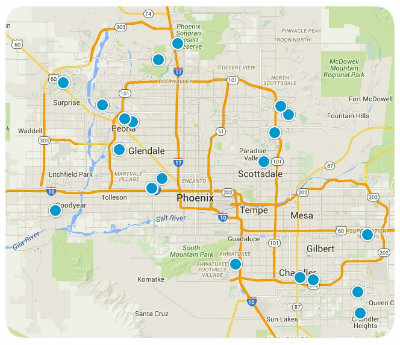 Selling Your Central Phoenix Property in Downtown, Midtown, Uptown or North Central? 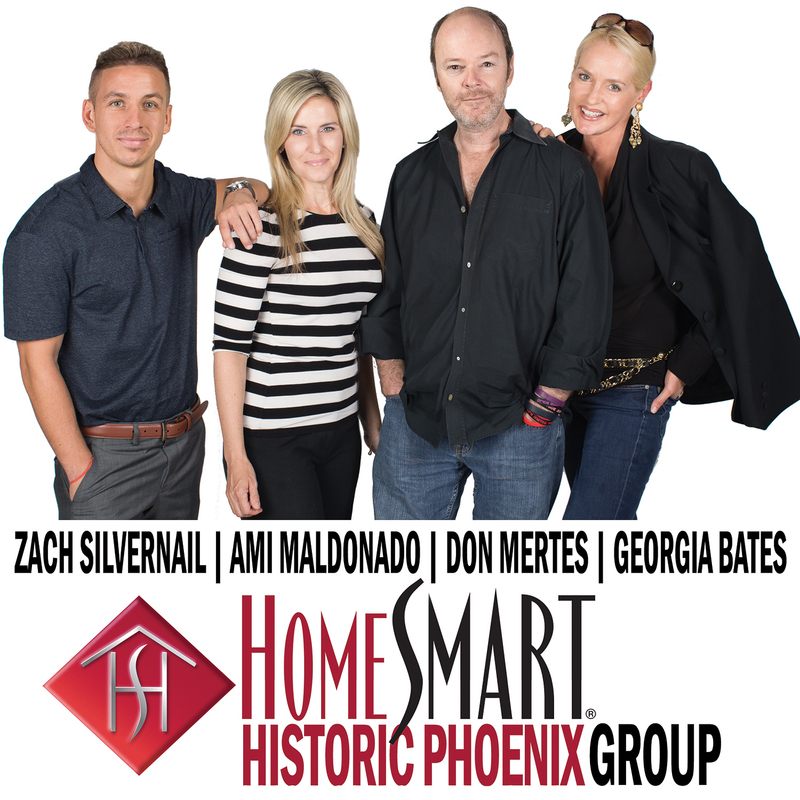 The agents with the Historic Phoenix Group of Homesmart are committed to providing the highest quality of service in the industry throughout the historic districts and all of Central Phoenix. If you are looking for a real estate team that is highly motivated, friendly, professional, honest, and hard-working, contact us today! Our market knowledge of real estate in the Historic Districts and Central Phoenix will net you $1000's more in your pocket. Selling Real Estate in Downtown, Historic and Central Phoenix is our specialty. We also have partners across the valley that can help you sell your Scottsdale, Mesa and Chandler properties. Get instant Phoenix home prices and valuation reports free. What's YOUR home worth? Find out HERE! It is crucial to get pre-approved for home financing when purchasing a property. You'll have better negotiating strength when dealing with a seller. You will also have less stress and feel more confident when submitting an offer. It is free to get a quote and it will put you in a position to get a better deal. Contact us and we can put you in contact with a competent and knowledgeable Mortgage Broker that can help you with a loan anywhere in the valley. the Historic Phoenix Group of Homesmart serves Central Phoenix and the surrounding areas providing Realtor services in all of our Historic Phoenix, Midtown Phoenix, and North Central neighborhoods. We has teamed up with some of the finest real estate agents in Arizona to give the best possible service. Our team can help you find a Phoenix foreclosure, second home or many different types of Condos, Lofts or Townhouses. We work with many of the best agents in the valley and can help you negotiate a great deal with them, as well. the Historic Phoenix Group of Homesmart can provide you with property information about Arizona luxury real estate, Downtown Condos, foreclosed properties and East Valley Homes. A second house used as a vacation rental in Central Phoenix is a great real estate investment.